Peter loved adrenaline and the great outdoors almost as much as he loves his wife and daughters. In July 2009, he travelled to South Africa for a dream adventure – a dirt bike tour through the rugged African wilderness. On day two of the expedition disaster struck. Peter was caught unawares by a blind corner and plummeted 50 metres over a cliff. He was rushed to a nearby hospital and placed in an induced coma. The doctors didn’t expect him to survive the night. Peter’s wife, Tania, knew better and got the first flight she could to be by his side. Tania was right, Peter did see the next day but he had sustained a severe brain injury. Paralysed down the left side of his body Peter could no longer walk, talk or eat. After a month in South Africa Peter was flown back to Australia where he spent two weeks in the Intensive Care Unit at Westmead Private Hospital. He was then transferred to Royal Rehab to begin the long and slow process of rehabilitation. The damage to Peter’s brain caused him to lose the ability to control and coordinate his swallowing and airways. This meant that Peter now had to be fed through a tube. Eating and drinking were no longer second nature to him. They were now a complex set of skills that he had to learn from scratch. Peter’s new goal in life was to eat again. It took a full 12 months for Peter to regain enough control over his swallowing and airways for him to progress from being tube fed to being able to eat pureed food. Still unable to talk, Peter now communicates by writing, hand gestures and signs, and through a special app on his iPad. As Peter improved, the next major step was for him to move home with his wife and young daughters. 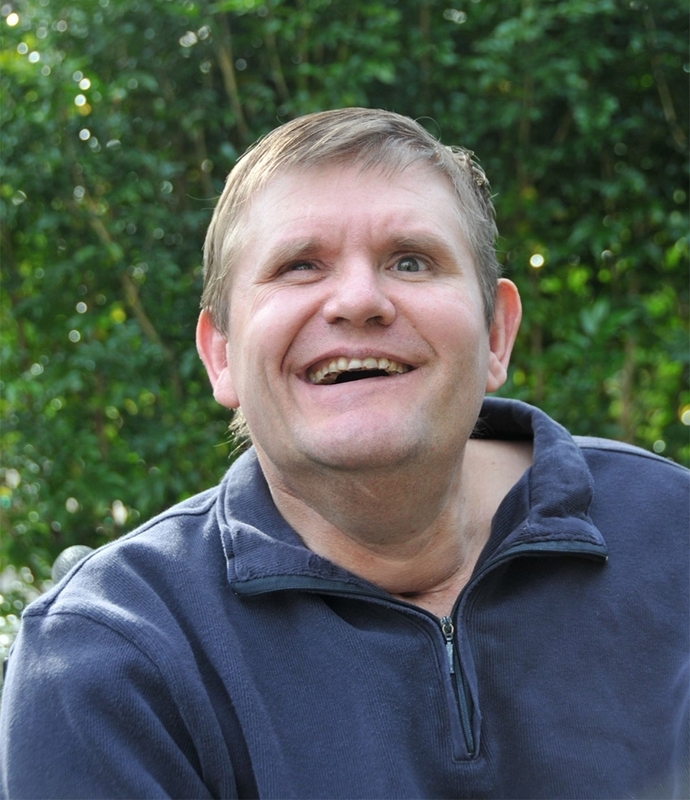 The team at Royal Rehab supported him and Tania in their transition, providing assistance in acquiring the necessary equipment, care and modifications that would enable Peter to live at home with his family and watch his daughters grow up. Peter continues to make small improvements every day. He can now shave himself and stick out his tongue. Peter remains hopeful that once again he will be able to walk, talk and chew steak again. We eat to live. For some of us, we live to eat – we love it. Such a simple act, right? Peter lost this luxury, but he’s slowly re-acquainting himself with the pleasure. This Sidetember, think about, and challenge yourself to feel, what it would be like to lose this simple satisfaction.